Monitoring the efficacy of antimalarial drugs and understanding why parasites develop resistance is essential to preventing, treating, and containing the spread of drug-resistant malaria. Two ground-breaking laboratory-based and field-based tests aim to do just that, providing a platform for tracking malaria cases in real-time and improving researchers’ understanding of the mechanisms of drug resistance. We recently spoke with Dr. Didier Menard, a malaria researcher and expert on antimalarial drug resistance, about his role in the development of these novel tools. Dr. Menard is Head of the Malaria Molecular Epidemiology Unit at Institut Pasteur in Cambodia. Please provide us some information about the problem of drug resistance. 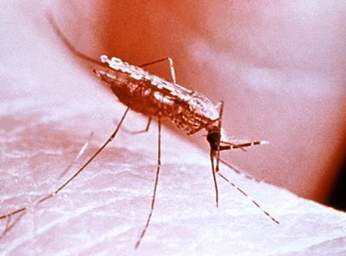 How has drug resistance evolved since you began working on malaria? What are the dangers of resistance to antimalarial drugs, and what are the ways to tackle drug resistance? Parasites in western Cambodia are the most resistant to antimalarial drugs. Healthcare professionals first observed chloroquine-resistant malaria parasites in Cambodia in the 1960s. Until that time, chloroquine had been very effective in the treatment of malaria. Physicians began using sulfadoxine-pyrimethamine to treat patients with malaria; however, resistance to the drug emerged in the late 1970s and early 1980s in the province of Pailin, Cambodia. Then, in the 1990s, mefloquine was introduced as a new treatment for malaria. Less than five years later, it became apparent that malaria parasites were becoming resistant to mefloquine as well. This pattern was repeated again in early 2008, when scientists discovered parasites resistant to artemisinin-based combination therapy (ACT), which is currently the best antimalarial treatment available. Chloroquine can be used to prevent and treat some forms of malaria, but in many areas P. falciparum is resistant to chloroquine. When it comes to malaria drug resistance, our fear is not that it will spread within Cambodia, as transmission is generally low throughout Southeast Asia. Our fear is that drug resistance will spread to Africa, where 90% of malaria deaths occur. Plasmodium falciparum, the deadliest malaria parasite species, is already very prevalent in Africa. We know from past experience how dangerous the spread of drug-resistant malaria can be. In the 1970s and 1980s, chloroquine-resistant and sulfadoxine-pyrimethamine-resistant P. falciparum spread throughout sub-Saharan Africa, causing a dramatic increase in malaria-associated morbidity and mortality. Today, there is a risk of reliving this public health emergency if we cannot contain the spread of new drug-resistant malaria parasites. causing higher rates of treatment failure. Researchers in Cambodia, Thailand, Myanmar and Vietnam have observed cases of resistance in numerous clinical studies. They noted significant reductions in the rates of parasite elimination in patients treated with artemisinin alone or with ACT. Though clinical studies on emerging drug resistance are critical to detecting parasite resistance to artemisinin, they cannot be implemented as frequently as necessary, as they are often logistically cumbersome, expensive and difficult to deploy at a large scale. This presents a significant obstacle to efforts to contain the spread of drug resistance. Until recently, we did not have an in vitro test to characterise resistance in the laboratory, nor a molecular marker, both of which are essential to studying parasite resistance to artemisinin. This gap has hindered efforts to better understand the mechanisms of drug resistance. There is an urgent need to better understand how malaria parasites develop resistance, so that we may better detect and treat malaria. In collaboration with the National Malaria Centre of Cambodia and the US National Institutes of Health, Institut Pasteur in Cambodia recently developed two tests to discern whether malaria parasites in a patient will be resistant or susceptible to artemisinin within a period of three days. When did you start to develop these tests? How do they work? An Anopheles gambiae mosquito, a known vector for P. falciparum and other malaria parasites. Image credit: CDC/WHO. As I mentioned before, one obstacle to the study of artemisinin resistance has been the lack of in vitro tests to detect resistant strains. So, in 2012, to address this problem, we developed a novel in vitro test that consists of mimicking physiological conditions to which parasites are subjected in humans. 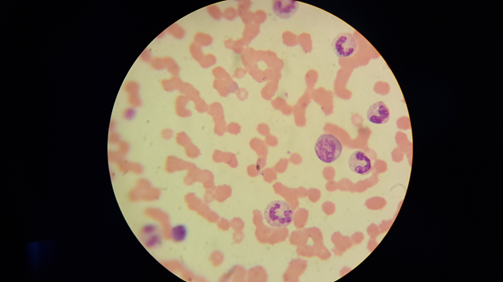 The in vitro ring-stage survival assay (RSA), whose name refers to the ring-shaped young malaria parasites, allows us to define the precise age of the most artemisinin-resistant parasites and associate clinical data with this phenotype. Instead of exposing the parasites to sub-therapeutic doses for 48 hours, we exposed the parasites to a dose identical to that observed in humans during a treatment with artemisinin derivatives. This test allowed us to better identify the precise stage of parasite development where artemisinin resistance occurs, allowing us to confirm that only the youngest parasites are resistant to artemisinin. This work not only demonstrates that this approach is relevant for an in vitro phenotype, but also proves that resistance is stage-dependent and caused by the arrested development of the exposed parasites. In addition to the in vivo test, we have also developed an adaptable and easy-to-implement ex vivo test that can be applied for large-scale monitoring purposes. In an ex vivo test, a single blood sample is taken from a patient suffering from malaria. The parasites in the blood are then cultured in the presence of a strong antimalarial dose for a few hours. The degree of resistance is evaluated after three days based on the number of parasites that have survived exposure to treatment. The higher the parasite number is, the greater the drug resistance. Using blood samples from patients in different regions of Cambodia, where parasite response to artemisinin differs greatly, we were able to confirm that parasites from slow-clearing infections survive artemisinin much better than those from fast-clearing infections. By using both the in vivo and the ex vivo assays, we are able to track the emergence and spread of antimalarial drug resistance. Finally, since 2013 we have been looking at the molecular signatures associated with parasite resistance to artemisinin. To do so, we have compared the exome (the genome coding for parasite proteins) of an African strain that was exposed to repeated, increasing doses of artemisinin over the course of five years, to a twin strain grown under the same conditions but without exposure to the drug. The strain exposed to artemisinin developed resistance. After a detailed analysis of the divergence between the genomes of the two strains, eight mutations in seven genes were identified. Blood smear revealing the presence of P. falciparum. Genome analysis of three intermediate strains and 49 strains isolated in Cambodia has allowed us to determine the chronology of the appearance of mutations and define a strong association between certain gene mutations and in vitro susceptibility characterised by the RSA. Moreover, we were able to confirm that this molecular marker was indeed a major determinant involved in parasite resistance to artemisinin. Prior to the development of these tests, what methods were used to determine whether a patient had artemisinin-resistant malaria? How could these new tests improve existing efforts to fight malaria in countries where the disease is endemic? Evaluate the effectiveness of new drugs in treating drug-resistant malaria parasites. We could improve upon existing malaria control efforts by implementing large-scale molecular surveillance based on the detection of parasite strain mutations, using simple and inexpensive techniques including capillary blood samples on filter paper for DNA extraction and polymerase chain reaction sequencing for detection of gene mutations. Implementing such a surveillance scheme would allow us to understand the real-time distribution of drug resistance and organise an appropriate anti-malarial response. 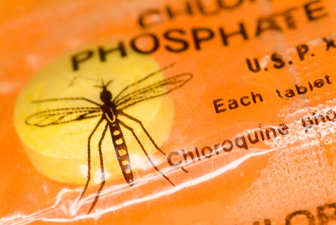 Such surveillance activities would prepare us to avoid a repeat of the public health catastrophe that occurred in the 1980s, when chloroquine-resistant malaria swept Africa. Furthermore, employing these new tests will allow us to better understand the evolution of resistance and better inform treatment policies. Before joining Institut Pasteur in Cambodia, Dr. Menard worked on a variety of biomedical projects in Madagascar, New Caledonia, the Central African Republic and France, covering disease topics including tuberculosis, enteroviruses and parasites. Dr. Menard’s current role involves conducting studies to improve control strategies for malaria, particularly in regards to the malaria parasite species P. vivax and P. falciparum. For more information on the novel assays discussed in this interview, please read the Lancet Infectious Diseases paper on the topic, co-authored by Dr. Menard: http://www.thelancet.com/journals/laninf/article/PIIS1473-3099(13)70252-4/fulltext.